This week we have another knock it out of the park meeting with an interesting topic. We all know that you’ve got to have access to money to make money. If your credit is good and you already have a house with equity or something to get a line of credit on, than you can go the traditional route and get your money from an investor friendly bank such as our sponsor, the Bank of Botetourt. Money from a bank typically has the lowest interest rates. If you can’t get a bank loan another viable option is to use private or hard money which is an equity based loan most often secured by your deal that you’ve found. These types of loans often don’t rely much on your credit so they are an option for most. Hard money usually comes from a company or private investor who professionally loans money for a living. These loans typically carry the highest interest rates. 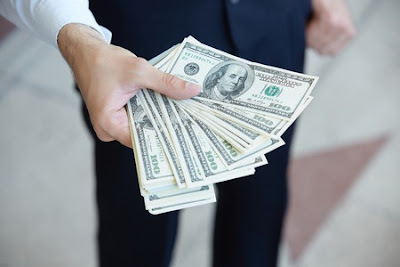 However, I have seen some hard money lenders recently that have had very favorable terms that are pretty close to what you would often get from a private money lender. A “relationship based” private money lender is typically somewhere in between the cost of the bank loan and the hard money lender. They don’t typically loan money out for a living. They have extra personal money to lend. And their motivation in many cases would be to either pull their money out of the volatile stock market before an upcoming crash or simply to make a better interest rate than they would by having someone else manage their money in the traditional investments. The subject of the upcoming meeting will be about marketing yourself to private money lenders. Which will include information pertaining to putting together a brochure that you can give to a private lender to get them to invest with you. Going to be a fun meeting so cancel any other plans so you can make it to REI this Tuesday. Bring your friends with you as your guest.